At Asarch Center for Dermatology, Laser & Mohs Surgery, we want you to look and feel your best! We offer a variety of spa services that help improve the tone, texture, and appearance of your skin. No matter your age, we want your skin to feel rejuvenated. Learn more about the spa services we offer and how they can help you. Chemical peels are one of the least-invasive options for improving the appearance of your skin. This technique uses a chemical solution to peel the outer surface of your skin and reveal newly rejuvenated skin. We offer a variety of peels including the Illuminize Peel, Vitalize Peel, Rejuvenize Peel, and VI Peel. The type of peel used depends on your skin and how aggressive the treatment needs to be for your desired results. Overall, benefits include improving the appearance of acne scars, fine lines, wrinkles, and sun spots. At Asarch Center, we use DermaFrac microchanneling to infuse active topical ingredients into your epidermis and dermis. They are infused using thousands of microchanneling, without any discomfort. DermaFrac can make your skin look younger by minimizing fine lines and wrinkles, clearing your pores, lessening the appearance of sun damage, and moisturizing dry skin. We are pleased to offer DermaFrac together with our DERMAspaRx skin nutrition line. Dermaplaning is a delicate procedure that exfoliates your skin by gently scraping off dead skin and vellus hair (peach fuzz) from your face. This exfoliation method triggers cell regeneration and allows skin care products or makeup better penetrate in the skin. “I have been going to Asarch for a couple of years now. They have a beautiful clinic and their staff is incredibly kind, and their providers are experts who are very helpful.” – Jillian L.
Routine facials are great for your skin. Through deep exfoliation, cleaning of the pores, and improved circulation, facials can overall improve the health of your face. We offer a number of facials for you to choose from including our Signature Facial, Glycolic Facial, Teen Facial, Vibraderm for Men, and a Deep Cleansing Clay Treatment. Microdermabrasion is a highly-effective, non-invasive treatment for removing the outer layer of the skin. Microdermabrasion works by vacuuming off dead skin cells and stimulating the production of collagen beneath the surface of the skin. This treatment results in a 30% increase in the skin’s elasticity, which produces beautifully radiant skin. 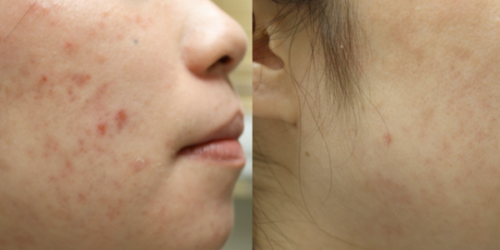 At Asarch Center for Dermatology, Laser & Mohs Surgery, we offer an acne lift treatment. This treatment safely and gently exfoliates the skin that is prone to acne. This non-invasive treatment not only cleans the skin but also prevents future breakouts. We are proud to offer the newest and most sophisticated Professional Grade LED light therapy system – NeoLTS. NeoLTS is a non-invasive treatment that is clinically proven to improve the appearance of your skin and hair. Light therapy works by exposing your skin to different wavelengths of light so your cells can use the light energy to combat the signs of aging and heal faster and more effectively. Vivace is the newest generation of microneedling technology. Vivace offer benefits of both microneedling and skin tightening including improving skin tone, texture, and firmness of the skin. Vivace can also help eliminate stretch marks, acne scars, and reduces wrinkles. 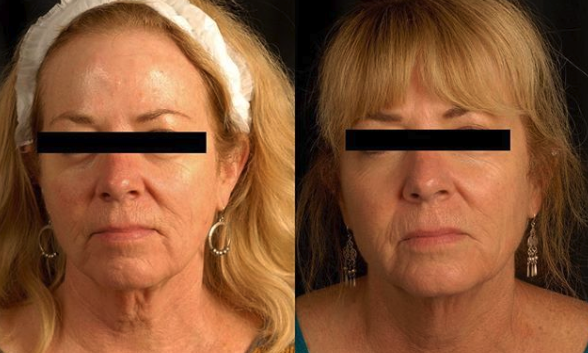 This treatment offers immediate results with improvement over the following 3 months. If you are interested in any of our spa services at Asarch Center for Dermatology, Laser & Mohs Surgery, contact us today! Call us at 303-761-7797 to schedule an appointment at your nearest location.